This piece was written for MIAS 200: Archiving History and Philosophy, taught by Professor Michael Friend for the Moving Image Archive Studies Program at UCLA during the Fall of 2011. 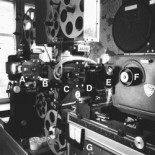 This course served as an exploration of the historical development of the moving image archiving world while providing a strong sense of the more theoretical background that accompanied each movement. Using mandatory texts such as those of Anthony Slide and recommended pieces from the anthology, Inventing Film Studies by Lee Grieveson and Haidee Wasson, the course established a solid background for archival history. This work was an exploration of the post-production software that I had personally been working with prior to my arrival in the MIAS program. I recognized its application within cataloging and client services and was eager to see how I could investigate its location within the more digital and post-production structures of the archival landscape. Everyone is in search of the “magic bullet”- the one mystical piece of software that will magically run your entire post-house without problem from digital asset management to financials, project scheduling and invoicing. But, as every good magician knows, there is no such thing as “magic.” It’s all just trickery and sleight of hand. What time has shown us is that some programs work better than others for more of a company’s needs, but it is all dependent on the company and how that company is structured. This is, of course, still a fairly new development. 30 years ago, people weren’t necessarily looking for digital asset management let alone considering a kind of facility management software that would cover that arena as well. However, the sudden explosion and thus expansion of media and its various technological relatives catalyzed a change within the production and post-production world that only the most tech-savvy individuals could have foreseen. As they say, hindsight is 20/20, and there are most certainly people who will posit that they could have “seen it coming.” However, for the most part, the evolution of the world of facility management and digital asset management took many people by surprise as these kinds of technologies were new and distinctive and not at all the way that they were used to working. It was quintessentially a switch from analog singular thinking to digital multi-tasking. Post houses had to not only rethink the ways that they managed their account proceedings and actual accounts but they had to rethink the ways in which they dealt with the data that they were being given. In response to this, a multitude of different softwares were developed in order to deal with the facilities as well as the data. We became intimately familiar with terminology such as facility management software, digital asset management and media asset management. All of a sudden, the things that used to be conducted through complex networks of people and paperwork became streamlined into fully functional systems that linked all of these things together in ways that were not only beneficial but progressive. Upon the beginnings of this new set of circumstances, a new bionetwork was created, made entirely of programs geared to assist the average post-production house (as well as other data-based digital facilities) in its day-to-day activities. The consequences of the evolution of facility management software were the programs that sponsored a kind of specialized digital asset management and media asset management, designed specifically for the use in post-production houses. While the initial design for facility management software could have been utilized in any number of different companies based on its concept for the restructuring of information in a more simplified and accessible manner, the next step was to apply this software to the other thing that was escalating: digital information, media and otherwise. Managing the services within a general business facility was nice but rather restrictive. There is only so much that you can do with project scheduling, financial records, billing and basic workplace assets and data. On the other hand, you can always add to those items and adjust along the way, right? This is exactly what happened. With the onslaught of media and digital information coming down the pipeline, software was specially designed to handle these assets, much in the same manner that the original facility management software was designed, only with more range. The evolution of the originating software clearly laid the groundwork for this next generation of software that was more specialized for post-production facilities. The major companies who developed within this period and came up against each other as major competitors were Studio Suite, ScheduALL and Xytech. All of these programs have their own advantages and disadvantages, and each is conditional based upon the facility using them. Within this study, we will look at one of these systems in juxtaposition with the others and see where it lies on the spectrum of attempts towards the “magic bullet” of software. The internet forums during this time period were incredibly active and there was a large amount of interaction going on between users comparing software, which only became more active the more software became available. In 2009, on Reduser.net, a group of forum-participants shared their individual experiences with the latest post-software. One of the major things to come out of the discussion was that StudioSuite had risen to great popularity, as it was Mac-compliant (it had iPhone apps!) and was much less expensive than many of the other programs on the market. Due to the fact that the post-world is highly visual, and Mac software is the leader in working with visual data, it is not surprising that many of these individuals were praising this program. Additionally, due to the proliferation of digital equipment and heightened technology, post-production had become a different business by 2009, meaning that there were a greater number of smaller houses but they were most certainly watching their budgets. While there were lots of post-facilities, this did not always equate to large facilities, and many specialized. A program like StudioSuite was especially kind to these businesses as it allowed them the same aggregated, streamlined workflow on either Mac or PC platform, and for a lesser price. To this day, Studio Suite continues to be the “collection of integrated databases that include budgets, contacts, scheduling calendar, inventory, tape library, sessions, session reports and invoices, rooms, equipment, maintenance reports, and more” (Ochiva 2001) but it has expanded to the point that it has found a welcome home at large studios and post-houses of significant size in addition to the smaller ones. The media professionals in the forums were quite open about the fact that there wasn’t one single program that would cover all your needs. In response to the prompt issued by user “Emery Wells,” user “M Most” notes, “The ‘business’ of running a business always gets in the way of running your business. From scheduling to inventory and media tracking to invoicing and beyond. I thought it would be helpful to get a list of the software everyone in the community finds useful for running their post and/or rental business. The most popular systems used by major post facilities are Xytech and ScheduAll.” (Reduser.net 2009) Comparing this user’s comments to the rest of what was on the board at the time, one thing was quite clear: out of the three programs, Studio Suite was a program that might be usable by a wide variety of post-production houses whereas Xytech and ScheduALL were created almost specifically for larger companies, and their pricing made them prohibitive for smaller facilities. It isn’t entirely necessary to sell your first-born if you wanted to work with some of Xytech’s wares, however. 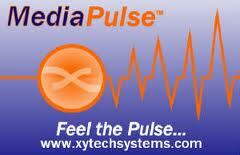 Both ScheduALL and Xytech made individual modules of their software available for people. As Michael Goldman states, these companies sold software that was “geared toward specific management tasks, such as scheduling, library tracking, bidding, and reporting, as well as integrated tools that offer all those functions combined within the same environment.” (Goldman 1999) But if you wanted the whole kit and caboodle, you would definitely need to pay for it, something that only certain companies could afford to do. Similar to the progression of facility management software, programs such as Xytech have moved forward and evolved with the time but are also quite specific in who they are working for and working with. Where Studio Suite is highly flexible and is appreciated by the post-community due to that feature, software such as Xytech maintains its usefulness in other areas. In a personal interview taken with a media professional who has been working with Xytech for a while, there were a variety of points that she felt should be understood about the software. While her experience has primarily been working on the Enterprise module of an older version, she discussed the Xytech’s newest database project, MediaPulse. She says that what she has seen in the upgrade from Enterprise is what she called the “Google effect.” Where Enterprise had issues with the search function, as there was no key word search function (leading to great difficulty in information retrieval for the user), MediaPulse has put great care into including many things the everyday user has familiarity with. She states, “Key word searches across multiple fields is now there, intuitive text, ability to save searches, or save commonly used records as templates are all upgrades from the Enterprise product. I’m confident the products out there that have been bought and customized will be continued to be used for several years.” (Anonymous 2011) Adding these things increases the software’s popularity and keeps it relevant, especially since, as she also noted, Xytech is not for everyone. While it would be great to say that there is one solution for the post-production community to use for its needs, the basic issue is that the post-production community itself is varied and at the moment cannot fit one uniform software. Xytech is a good database structure because it is robust and can handle large quantities of data and withstand a fairly heavy amount of pressure, it maintains a high rate of customization according to the customer’s needs, and conducts a variety of jobs within one interface. All of these things together make it a desirable program. While the price tag makes it available only to certain companies, only certain companies really have that kind of heavy-duty data to be managed, so the economically prohibitive nature of this software isn’t much of a concern to a facility who needs a program to streamline its billing, projects, library and work orders on a much smaller basis. While it would be nice to believe that there is a “magic bullet” that would suit all post-production facilities, no matter what, they all operate within different realms and have different needs. The more extensive the digital world gets, the more each house will have to specialize and have to eke out their own niche in the field. The more that this occurs, the more customizations have to happen on the software, and the less these professionals will seek out an over-arching “fix-it” program, even if it is simply to unify basic facility management work. Xytech, ScheduALL and StudioSuite all exemplify different kinds of post-production software. They are all highly used and have strong client bases. There are arguments for and against each one of these programs, but on the whole, it is crucial to note that the post-production software market is still as much in flux as it has ever been. While it clearly has come a long way from building itself simply on the back of facility management software, it is still in constant flow. However, if we look at its history, we can see that there is a progression. From the structures of initial FMS came programs that were capable of adding digital asset management and media asset management along with the previous jobs. If technology continues on this path, there is the distinct possibility that not only will already-established programs like Xytech refine themselves into something greater (as it seems to be possibly doing with MediaPulse), but we will discover new ways of putting all of these things together in more elegant and graceful methods that will benefit an entire new population of post-production facilities. While this may not be the “magic bullet” everyone was looking for, at least it will help assemble the gun. Anonymous, interview by Ariel Schudson. Personal email interview (November 4, 2011). Bunish, Christine. “Studio Management Software .” Post Magazine.com. June 1, 2011. http://www.postmagazine.com/Publications/Post-Magazine/2011/June-1-2011/Studio-Management-Software.aspx (accessed November 11, 2011). Business Wire. “Xytech Enterprise Software Announces Support for Apple Computers.” Reuters. March 26, 2008. http://www.reuters.com/article/2008/03/26/idUS206801+26-Mar-2008+BW20080326 (accessed November 11, 2011). Ford, Ty. “Stationary Storage: Facility Management Software Catches On…Slowly.” Digital Content Producer.Com. Feb 1, 1998. http://digitalcontentproducer.com/mag/video_stationary_storage_facility/ (accessed Nov 10, 2011). Goldman, Michael. “Keeping Track: Digital Facility Management.” Digital Content Producer.com. Oct 1, 1999. http://digitalcontentproducer.com/mag/video_keeping_track_digital/ (accessed November 11, 2011). Ochiva, Dan. “The best DAM solutions.” Digital Content Producer.com. Feb 1, 2001. http://digitalcontentproducer.com/mag/video_best_dam_solutions_2/ (accessed November 11, 2011). Reduser.net. May 12, 2009. http://reduser.net/forum/archive/index.php/t-29508.html (accessed November 11, 2011). ScheduALL. ScheduAll: Enterprise Resource Management. 2010. http://www.scheduall.com/ (accessed November 11, 2011). This entry was posted on November 5, 2011 by sinaphile in Access, Technology and tagged Academia, closed-architecture systems, facility management software, gentech, media asset management, MediaPulse, Production/Post Production, ScheduALL, Studio Suite, xymox, Xytech.